Plot – Logger Joe Braven (Momoa) and his dementia suffering father Linden (Lang) must battle for their lives after their hunting cabin is used by violent criminal Kassen (Dillahunt) to store a large quantity of illegal drugs. Setting out to prove his more than just Khal Drogo from Game of Thrones and Aquaman from the DC universe, muscle-clad actor Jason Mamoa produces and stars as timberyard worker turned thug killer Joe Braven in this gritty, if rather familiar thriller, that showcases the hulking screen presence can indeed carry a film in his own right, no trident or dragon eggs needed. Clearly a low-budget affair but one that attracted a solid cast of character actors such as Stephen Lang as Joe’s dementia suffering dad Linden and Garret Dillahunt as chief big-bad Kassen, director Lin Oeding, who makes his directional debut here, slowly builds up Braven to eventually unleash an almost hour long battle for survival as Joe and Linden take matters into their own hands after a bunch of drug dealing thugs arrive at their secluded hunting cabin to claim a stash of dope that is hidden there without their knowledge. Proficiently handling the action without ever allowing proceedings to get too bloody or brutal, Oeding shows us all that he can handle the action stakes well but Braven isn’t ever as thrilling or captivating as it should be, especially when this high-concept idea requires us to spend so much time in small area with a small cast. It’s a wise move that Braven takes so long to get into the thick of the action as once the first bullets are fired there’s frightfully little character development that happens from there on and while we don’t exactly need that in film’s of this ilk and we definitely don’t expect it, Braven makes it relatively hard to care to much for what’s going on as Joe seems to be a more than capable one man army, even more so with Linden watching his back with a rifle in hand. Great action film’s set in small spaces or confined areas such as brilliant Indonesian action film The Raid or classics like Assault on Precinct 13 keep things ticking a long with a careful balance of white knuckle tension and action and enough character development to keep us invested outside of the carnage and Braven doesn’t quite have that even if it makes perfect sense for the film to be your next choice for a Saturday night pizza and movie night. Braven is loud, brash and dumb but its delivered in a manner that makes it highly watchable, without ever becoming highly recommendable. 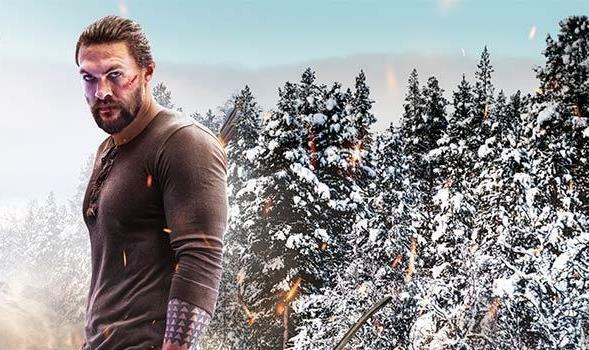 Lead by a committed Momoa, Braven is the ideal movie for when you want to switch your brain off and a solid attempt by its leading man to be more than his been pigeonholed to be as an actor so far.